The good, the bad, and the ugly about Icelandic Sheepdogs. Icelandic Sheepdogs need to be part of a family. They cannot be tied outside and ignored. Icelandic Sheepdogs are smart and therefore you have to be smart enough to raise them correctly; we strongly suggest puppy and advanced classes to train the family, and the puppy, so everybody is happy. Icelandic Sheepdogs can be escape artists. They will do everything they can to be with their family and if they are not allowed to be with you, they will seek others to give them attention. Icelandic Sheepdogs do like to dig. Icelandic Sheepdogs can have health issues, so it is your responsibility to purchase a puppy from an ISAA approved breeder who does the appropriate health testing. 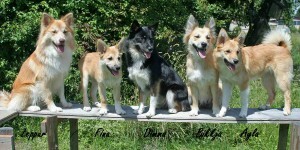 Icelandic Sheepdogs should fit the Iceland Standard which was adopted by the AKC. If the dogs you see don't look like an Icelandic sheepdog should look, then you need to find a reputable breeder who breeds for correct type, temperament, health, and to the Standard. 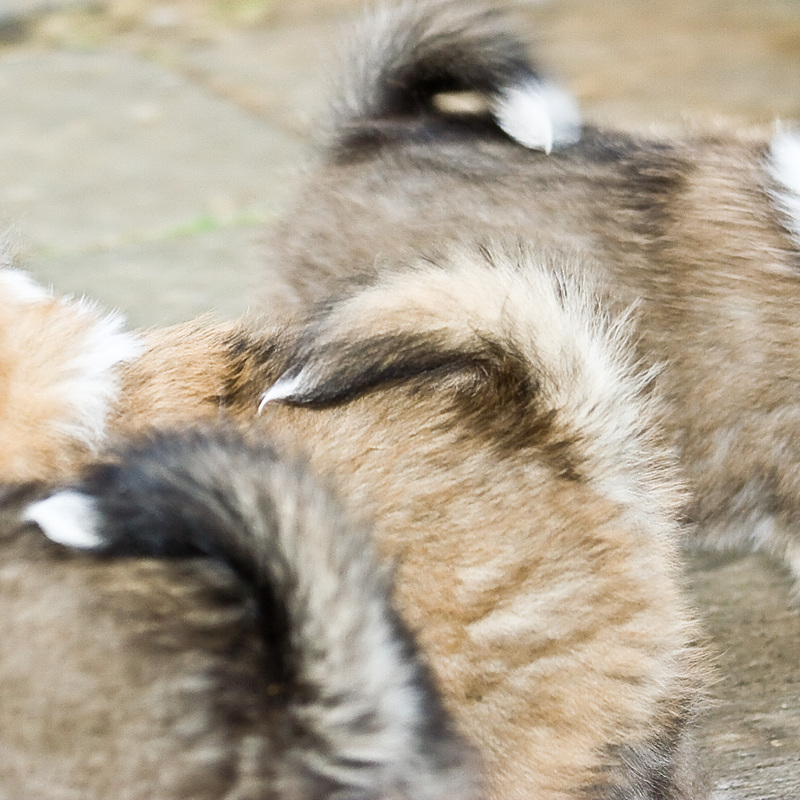 If you want to raise a healthy and correct Icelandic Sheepdog, you need to buy your puppy from an experienced breeder who is a member in good standing with the only AKC and Iceland recognized parent club - the ISAA. We breed our puppies to the correct standard and we are a member in good standing with the ISAA.